Mouse neural stem cells, labelled with green fluorescent protein, have been transplanted into the hippocampal region of an adult mouse brain. 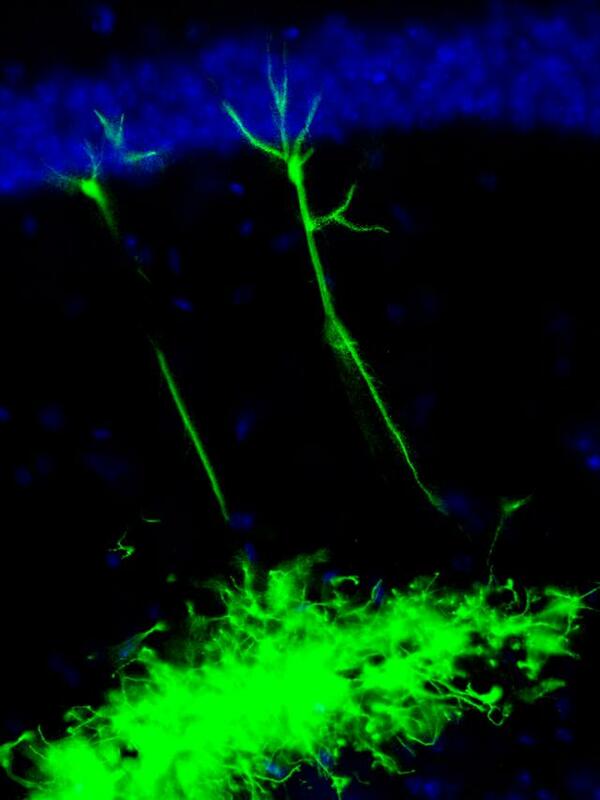 They have developed into cells resembling normal hippocampal neurons. This suggests a future role for neural stem cells in treating neurodegenerative disorders.